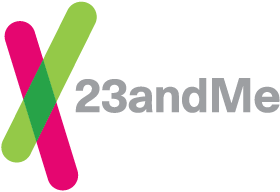 The 23andMe online store offers two shipping options - Standard (shipped via PostNL) and Express* (shipped to the recipient via DHL). Your shopping cart will indicate the shipping charges associated with each of the available shipping methods. For orders that include more than a single kit, additional shipping costs are discounted. The cost for each collection kit includes shipping to the recipient and prepaid return shipping to the laboratory. Orders are typically received within 7 business days. Shipping times vary based on address and demand, and we cannot guarantee a specific delivery date. Standard Shipping: Shipment tracking is not currently available for orders with Standard Shipping. If it has been more than 10 business days since your order was shipped and you have not received it, contact Customer Care for assistance. Express Shipping: Express Shipping is not an available shipping option to the Netherlands. Our distribution center is located in Oss, Netherlands and orders will typically arrive to addresses located within the Netherlands within 4 business days. *Express shipping includes expedited shipping to the recipient and standard PostNL shipping to the lab. We do not offer one-day or overnight shipping options, or expedited shipping inbound to the lab at this time. Express shipping is not currently available for orders to the Netherlands.